Docker is one of the hottest pieces of technology out there and DockerCon is the conference where the community gathers, where announcements are made and where business cases are presented. 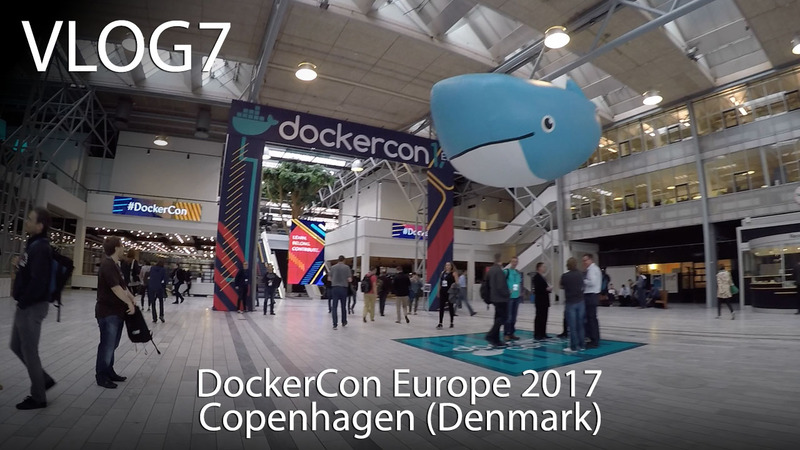 This edition of DockerCon took place at the Comwell conference center in Copenhagen, Denmark. Each conference day starts with some general sessions in the main room, where the Docker leadership talks about innovations and success stories. The first announcement was the Modernize Traditional Applications program: Docker was mostly focussed on new applications that adopt a “microservices” architecture. But now, Docker also wants to push traditional applications to their enterprise platform. This new program also introduces the Docker Application Convertor (DAC), a tool that inspects a virtual machine backup and turns it into a Dockerfile. It is clear that Docker wants to push their enterprise platform to enterprise customers who at first don’t look like typical Docker customers. Hosting individual Docker containers isn’t that hard, but when you push them to production and require high-availability, and scalability, you’ll need an orchestration platform. Docker itself has Swarm, which is quite good actually. Kubernetes is tremendously popular, and it’s a container orchestration platform that is not maintained by Docker itself. The project is managed by Google and is becoming the main project when it comes to scheduling containers in a clustered environment. The Docker tools, that you typically run on your local computer, will offer Kubernetes support. But the enterprise edition of Docker, will also have Kubernetes out of the box. You’ll be able to push your containers to Kubernetes via typical Docker Compose files. DockerCon is not only about the general sessions. Quite honestly, the general sessions are very commercially oriented. The rest of the sessions were quite technical. Creating Effective Docker Images from Docker, Inc. The video footage of this talk is also available on the DockerCon website. Another session I enjoyed, was Dan Finneran’s “Practical Design Patterns in Docker Networking” presentation. Practical Design Patterns in Docker Networking from Docker, Inc.
There’s also video footage available for this presentation. DockerCon Europe 2017 was a good event, very inspirational. But I also learned some more practical tips and tricks, the main one being Multi-stage builds in Docker. After day 2 of DockerCon, I immediately flew to the next conference, which is the subject of Vlog 8: Velocity Conference in London. Stay tuned for that one.